It's always a pleasure to dine at Amwaj Rotana Hotel in Dubai. I've found their staff to be welcoming and friendly every time we've visited. We were at their Iftar recently, and it was quite busy as it was the weekend. The menu includes hot mezze such as kibbeh and fatayer, and also shawarma. There are traditional drinks available such as jallab, kamardin, laban, and also Arabic tea. The cold mezze was plentiful, with hummus, moutabel, and chickpeas, and more. 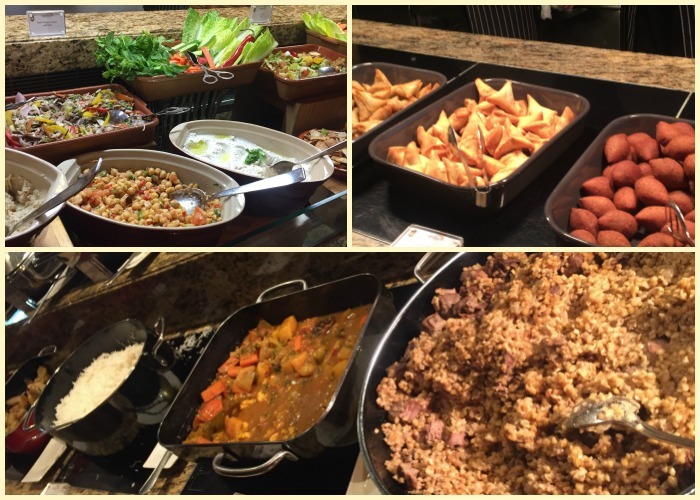 The main course had mainly local and Arabic dishes such as Lamb Freekeh, Harees, and other dishes of beef stew, and steamed fish. The Lamb Ouzi was quite delicious. 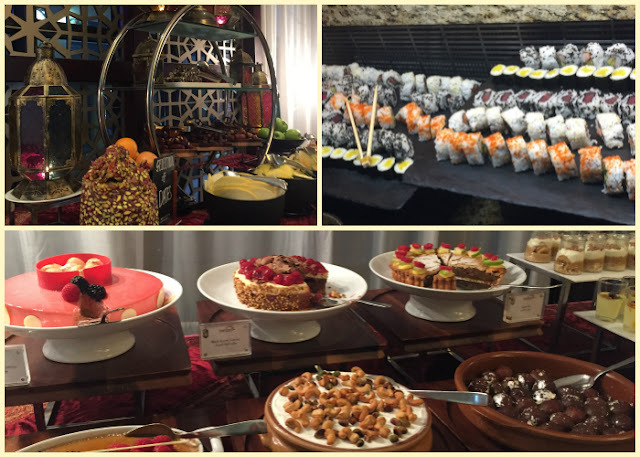 Apart from this, the buffet featured sushi, a variety of breads, and Balqees honey. 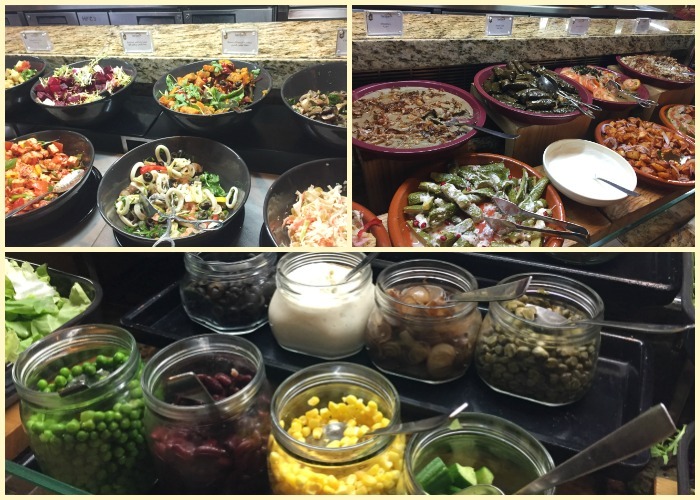 I particularly liked the variety of salads - from Mediterranean salads of stuffed marrow, and stuffed vine leaves, to the regular salad you can fix on your own with dressings of your choice. The desserts seemed almost endless, starting with traditonal Umm Ali and Kunafa, moving on to Arabic pastries such as Luqaimat and Baklava. Then there was the Turkish Delight and dates, along with fresh fruits, and also pies and cakes. There was also a gelato counter that the kids really liked!